I’m a ribbon fanatic and love coming up with ideas for using ribbons to decorate or embellish other items. There are tons of uses for ribbon scraps other than just wrapping gifts! 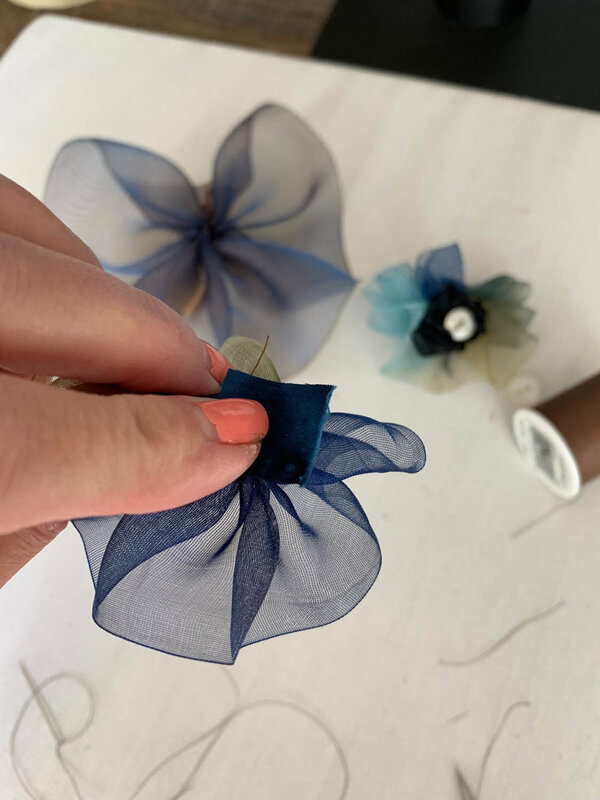 This is one of my favorite ideas for ribbon “flowers” which are super easy to make and take minimal supplies. 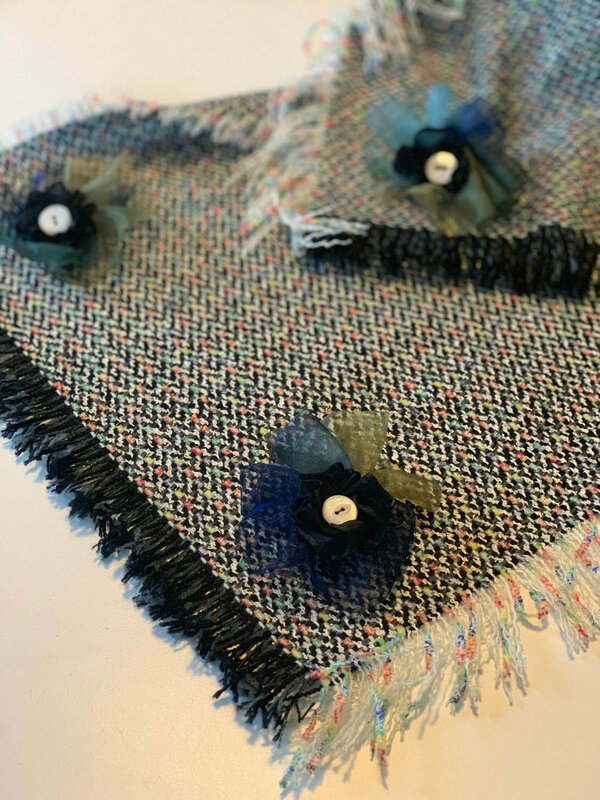 I used my finished flowers to embellish two scarves I’d made (find my DIY scarf how to ideas and instructions here). I also used the flowers to embellish some hair accessories that I’ve had for years and wanted to update. There are so many uses for these sweet little flowers! 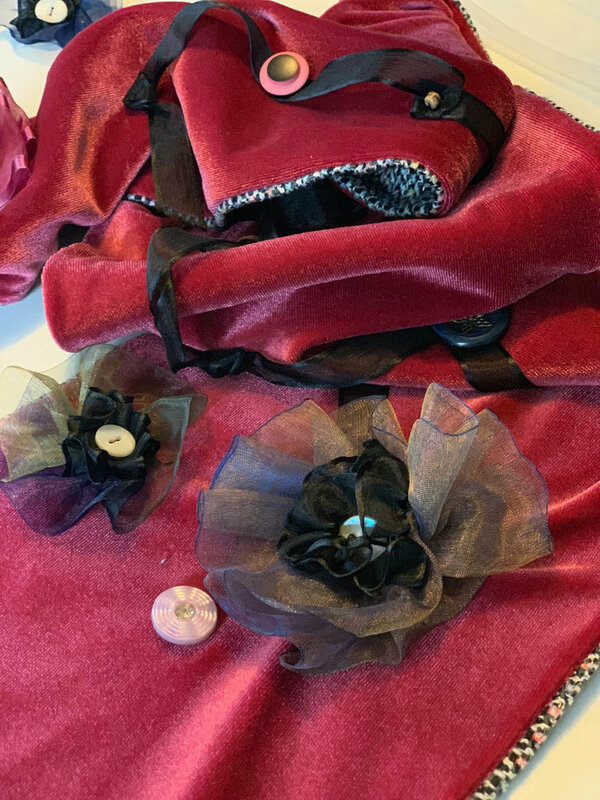 In another post I show you how to make the beautiful red velvet scarf shown above, embellished with ribbon flowers, beads and buttons. Be sure to tune in for this easy sewing project with lovely results! Cut your lengths of ribbon. Your length will depend on how full you want your flower. For my flower I used 14” of the wider ribbon and 9” of the narrow ribbon. 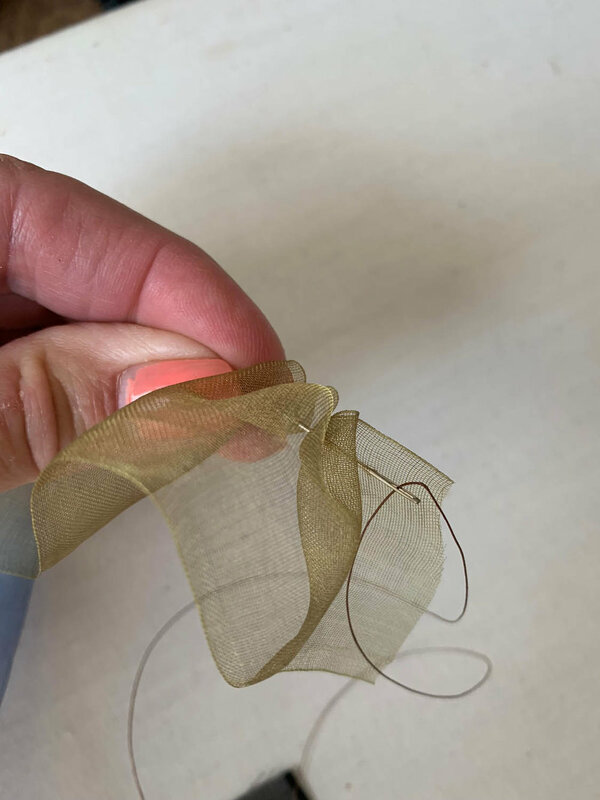 With needle and heavy thread, stitch along the edge of ribbon. Hold securely while you stitch to the end. Gather tightly and tie ends of thread together. 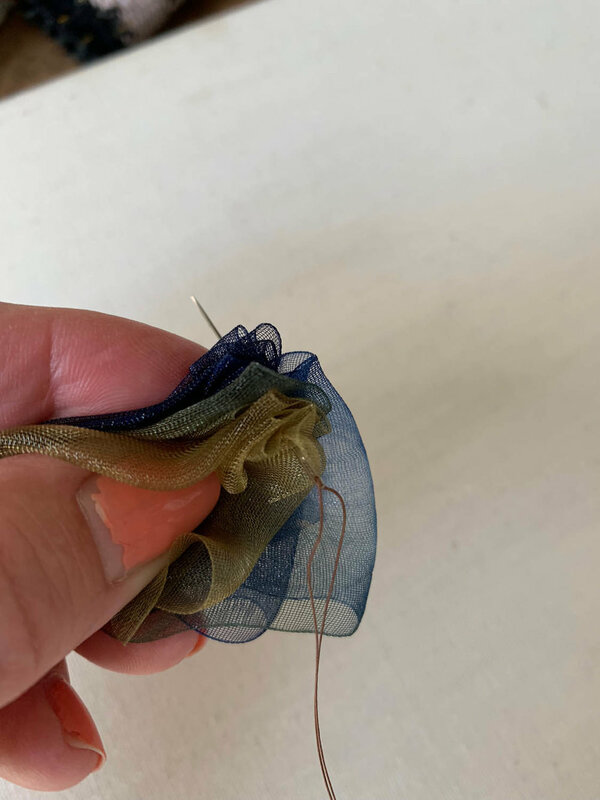 Take a stitch or two to attach small square of fabric to back of bow. Make the smaller inside bow using the same technique as the first. Stitch, gather and tie off. 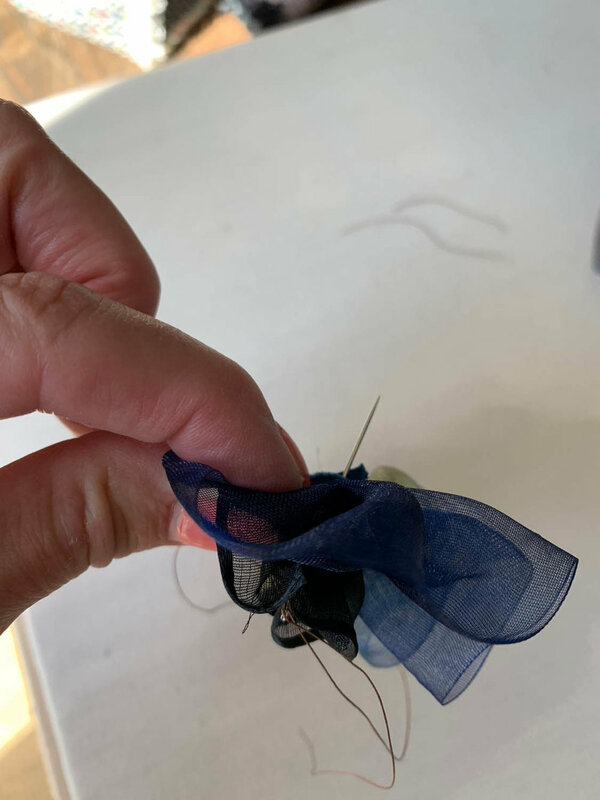 Finish ribbon flower by stitching inside bow to outer bow and attach button, bead or other embellishment to center of flower. Knot thread on the back and you’re finished! 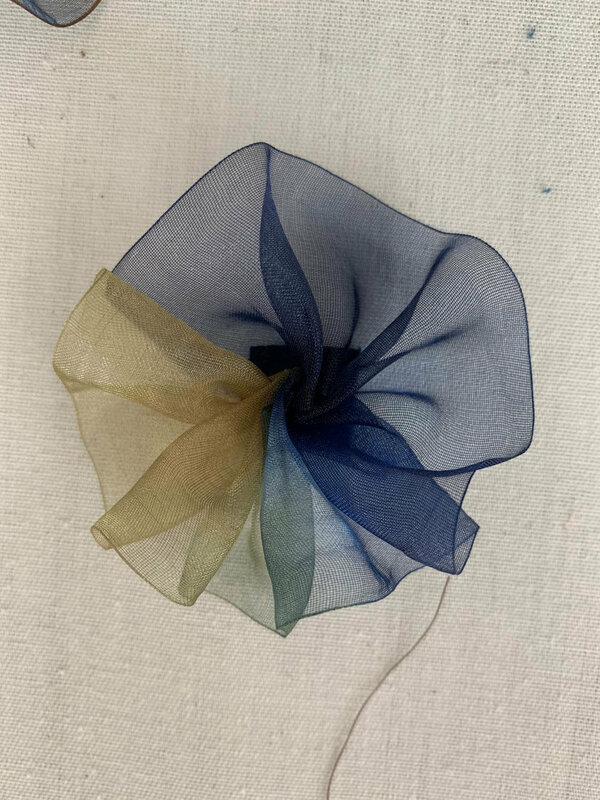 Use the ribbon flowers as shown above on a scarf, pillow, table runner or other accessory. Here’s how I attached these ribbon flowers with a glue gun to a hair clip for a more formal look. 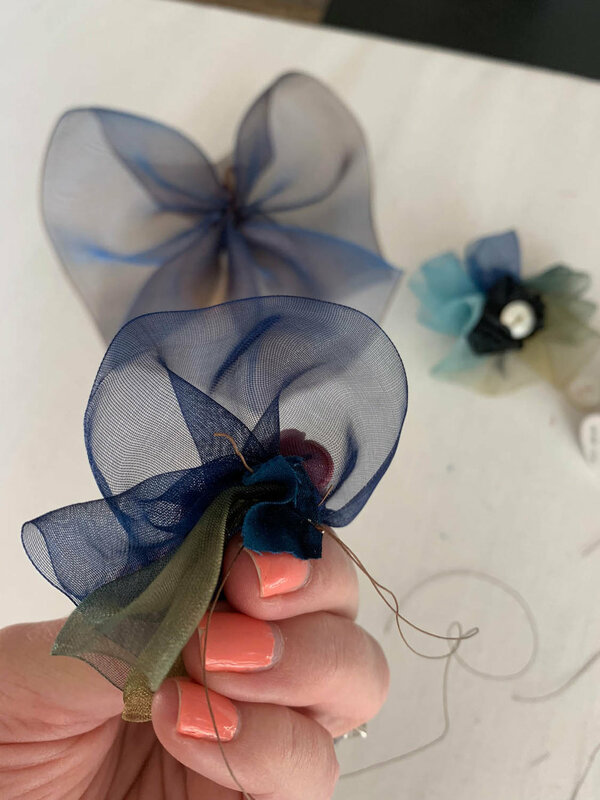 Be sure to see my tutorial on making the “No-Sew Fringed Fabric Scarf…Fast!” shown above and stay tuned for the red velvet scarf post next week where I use lots of these darling ribbon flowers on an elegant fashion accessory!